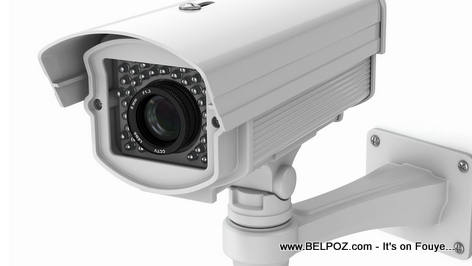 Haiti Security : Why is that most Haitian businesses DO NOT have security cameras? Many Haitian businessmen think once they accept Jesus Christ as their Lord and savior, God Almighty will protect them and their business and they have nothing to worry about... Really??? While security cameras are very popular in the Dominican Republic in even the smallest businesses and in many middle class homes, I don't notice to many cameras in use in Haiti. Imagine if most businesses in Haiti had security cameras in and around their businesses. That could lower criminal activities a bit? The footage from a business security camera would be very helpful in helping the police solve crimes in the neighborhood. So, businessmen and women, don't you think it is time to place a few security cameras in your business? Because there bunches of cheap asses. Si anplwaye yo paka peye se camera yo ta mete nan biznis yo? Well, those businessmen work in pair with the robbers. Avez-vous déjà posé cette question: pourquoi la plupart des entreprises en Haïti n'ont-elles pas de caméras de sécurité?